Thomas Lumpkin wants to feed the world. A simple premise, but an incredibly challenging goal. One that set Lumpkin on a career path which produced new agricultural innovations and led to international leadership positions. 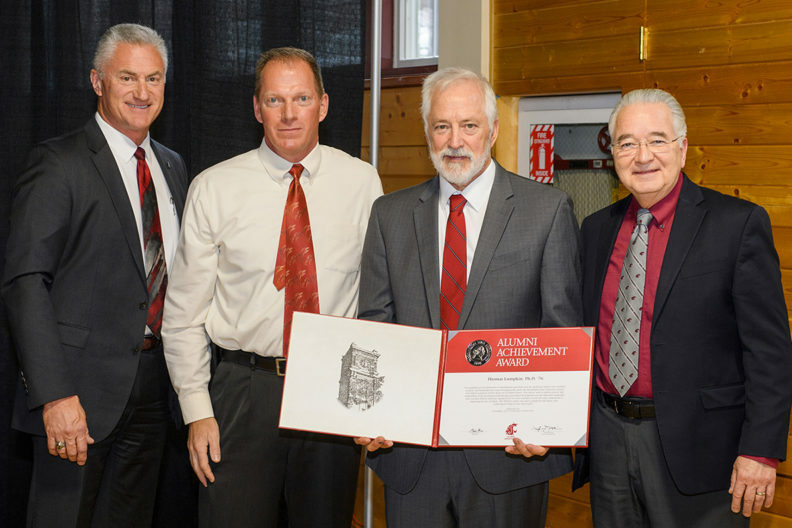 In November, Washington State University honored Lumpkin and his career with an Alumni Achievement Award, the highest award given out by the WSU Alumni Association. Fewer than 550 people have received this award since its inception in 1970, from a pool of more than 250,000 WSU alumni. Lumpkin graduated from WSU in 1976 with a bachelor’s degree in agronomy and a minor in Asian studies. “When I was a young man, all I ever wanted was to go to Asia and learn about philosophy,” Lumpkin said. Thomas Lumpkin talks with former WSU colleague Bill Pan at the ceremony where Lumpkin received his award. Before attending WSU, he joined the Peace Corps and worked on farms in India, where he saw first-hand how challenging it was to grow enough food to survive, especially without high-yielding seed and fertilizers. So he went back to school, first at WSU, then at the University of Hawaii and in China for his advanced degrees. He returned to WSU to teach agronomy, focusing on East Asian alternative crops. He and his staff and students worked closely with WSU’s IMPACT Center to develop the azuki bean, edamame soybean and wasabi as new crops for Washington state. After 20 years as a WSU professor, Lumpkin left to become director general of the World Vegetable Center in Taiwan. He later became director general of the International Maize and Wheat Improvement Center (CIMMYT) in Mexico, and was asked by Nobel Peace Prize-winner Norman Borlaug to rebuild the center and launch the Borlaug Institute for South Asia. 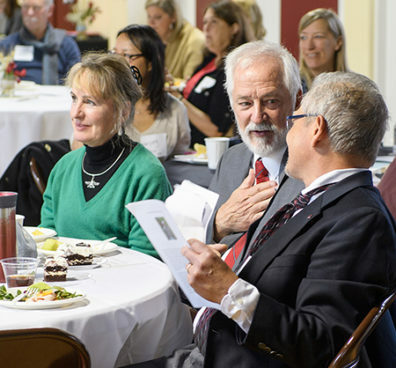 During Lumpkin’s return to WSU to accept the award, he guest-lectured in a course he created, world agricultural Systems, and met with graduate students for a round-table discussion. In both settings, he passionately talked with students about the need to get involved in international agriculture.